If you or your child has been charged with an alcohol related crime, you need to consult with an experienced DUI defense attorney immediately. You face expensive fines, substance abuse counseling, and a license suspension of one year, so you need an attorney that will fight for you. What are Underage DUI Charges? Underage drinking is very serious and is not taken lightly by the Court and DMV. In almost all cases where a person under the age of 21 is in possession or driving while alcohol is his or her system will be facing stiff penalties, DUI school, suspended licenses, and even jail time. Our DUI lawyer is familiar with underage drinking crimes and we are skilled at handling these cases when someone under 21 gets a DUI. If you or your child is accused of an underage drinking crime, do not wait - contact our office immediately and we will immediately begin correcting the situation. California's Zero Tolerance laws are tough on DUI's, but underage drinkers face even more serious consequences if they are arrested and charged with a DUI. It is important to understand that anyone under the age of 21 is convicted of an alcohol related charge will lose their driver's license, even if there is no driving involved. This may also be true for certain possession of narcotics. When it comes to alcohol, California follows a Zero Tolerance law, which means a driver under the age of 21 cannot have a BAC of .01% or higher. This means that a single drink would be illegal if you are under 21 years old.﻿ Further, the zero tolerance law will also apply even if the underage driver did not consume any alcoholic drink. For example, medications that contain alcohol can also result in an underage DUI if it is consumed before driving. While there are similarities between underage and adult DUI cases, there are differences that make it important to retain an attorney that understands those differences in order to obtain the best results for you. For example, there are ways to obtain a restricted driver’s license even when the DMV has suspended the license for one year. If you were recently arrested for a DUI, you have 10 days to request a hearing with the DMV, which is why it is important to contact us immediately and we will request a DMV hearing for you. If you do not have the ability to call immediately, complete the DMV request form and send it to the local DMV Driver's Safety Office where you received the DUI. Many people are unfamiliar with the court system and are likely not to understand the DMV process at all. 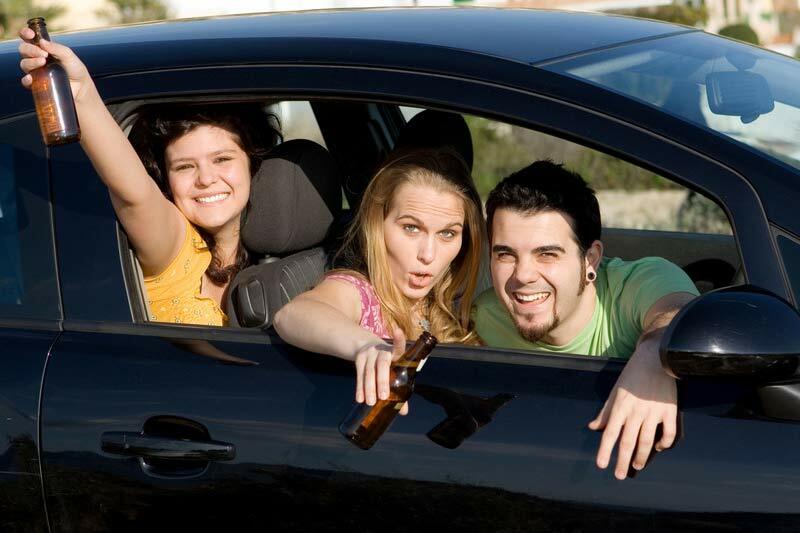 If you are facing underage DUI, we will take the time to explain the entire DMV process to you. By enlisting an attorney that understands DMV, it is possible to apply and obtain a restricted driver's license even if you are found to be in possession or under the influence of alcohol while underage. If you or your child is a driver under the age of 21, the laws are countless and the penalties are severe. The punishment for driving over the limit of .01% is very severe. If the driver is under age 18 at the time of the arrest or citation, the driver must appear in the Juvenile Court. You may be charged with a misdemeanor DUI or felony DUI. The penalties for a DUI conviction can be staggering. If the driver is a minor, the sentence may be fines, be committed to the juvenile detention facility for as long as the court determines up to the age of 25, be ordered to complete community service, lose the driver’s license for at least one year. ﻿If the person is over 18 years old, the driver will face criminal misdemeanor DUI or felony DUI charges in adult court. Further, an arrest or conviction can result in an automatic 1 year suspension on your driver’s license. The DMV will automatically suspend the driver's license unless a DMV hearing is requested. By contacting our law firm, we may be able to help you save your license or obtain a restricted license. In California, there are specific penalties that come for any person under 21 that possesses alcohol. When a person is over 18 years old receives a citation for possession of alcohol, he or she can be charged with a misdemeanor and will face up to 6 months in jail and fines. This is regardless of whether the person was driving or even drinking. Mere possession is enough to be in violation of this offense and it is important to talk to legal counsel before pleading guilty to this charge. If you are convicted of the misdemeanor offense of minor in possession, or any other alcohol related offense, you will lose your driver's license. The mandatory driver's license suspension will result even if you are not driving, for one year without the possibility of obtaining a restricted license. Because the penalties for drunk driving and minor in possession of alcohol are so serious and can cause you more problems outside of the criminal court, you need to discuss your case with a DUI lawyer immediately. Our experienced law office has successfully defended these cases and our attorneys are able to have the charges reduced or dismissed to ensure a DMV suspension does not occur. In all underage DUI cases, our office will investigate your case in order to uncover any evidence of innocence, procedural error, problems with field sobriety tests, and violation of constitutional rights or mitigating circumstances. If a successful defense exists, we will uncover it and will attempt to obtain a dismissal or reduction in charges. Despite the severity of the crime, a conviction is not automatic. The Law Offices of Tina M. Barberi, P.C. represents underage individuals that are currently facing alcohol related charges, including DUIs, minor in possession, suspended license, marijuana in a vehicle, and other traffic offenses. By retaining an experienced Fresno DUI law firm, you or your child’s case can be defended in an effective and professional manner.​ If criminal charges, DUI charges, or suspended license charges are pending, the first step is to contact an attorney to discuss the matter. Once we consult with you, we will be able to mount a successful defense in order to try to reduce or dismiss the charges against you or your loved one. Contact our DUI firm today for a free consultation.